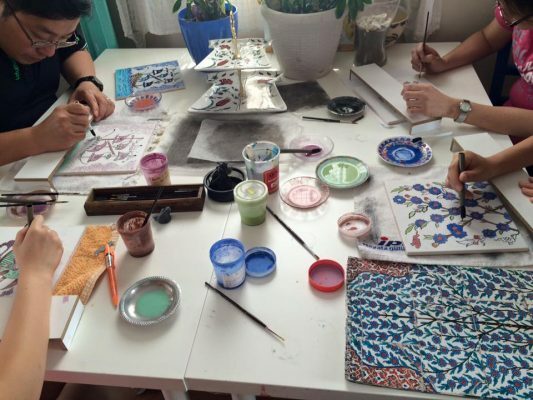 We have an Art Studio in Sultanahmet area and our local teachers that are professional in Traditional Turkish Tile & Ceramics workshop. 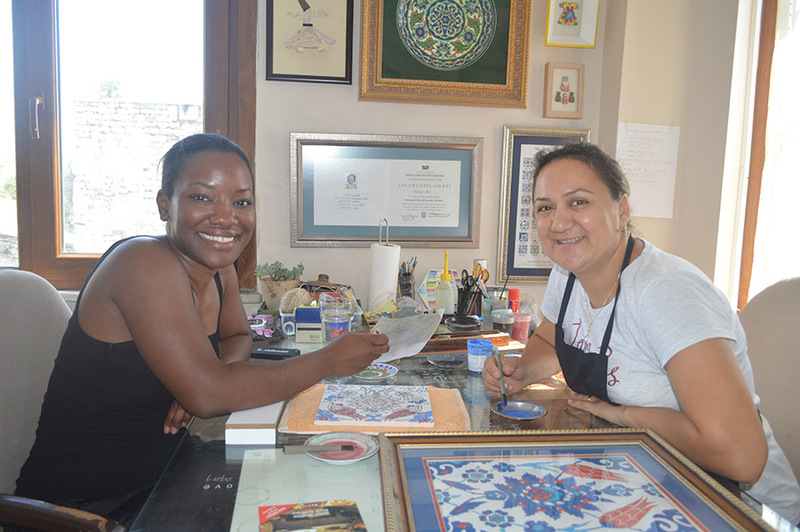 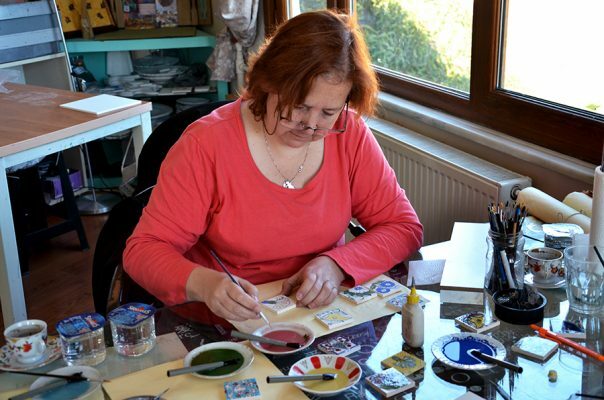 In our place, we give beginner, intermediate & advanced level of traditional Turkish Tile & Ceramic painting lessons. 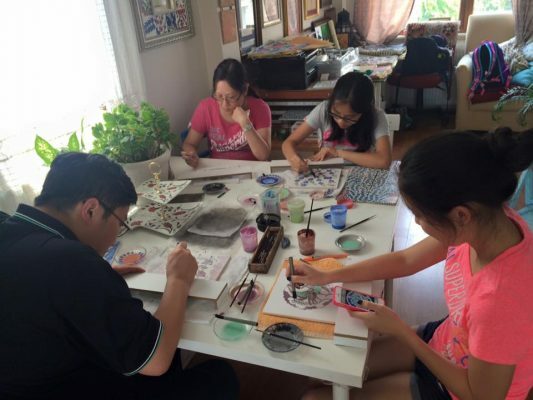 Usually lessons are 2 hours based and by the end of 2 hours, you will be able to finish one item like a tile, plate or a figure. 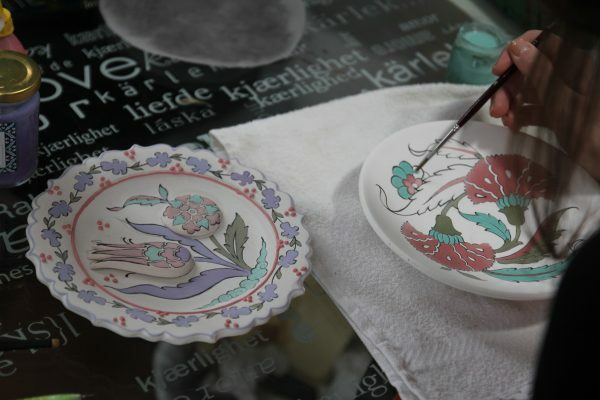 ( The price is for the lesson.. We fire our Kiln once or twice in a kiln.. 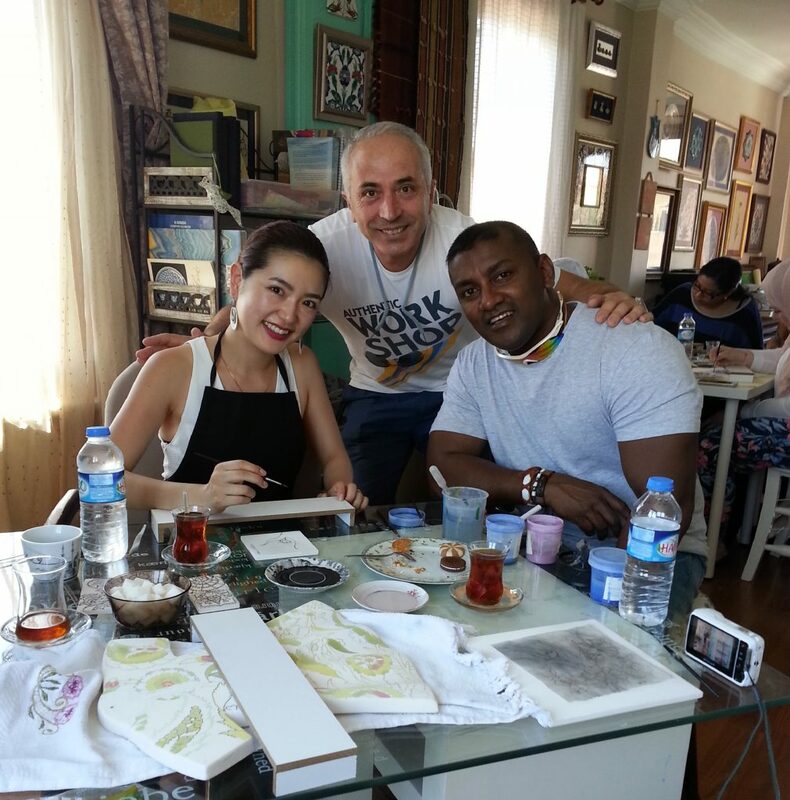 If you have time, we will fire your tiles ang give you the ready product or we can ship it to you if you can pay the shipping cost. 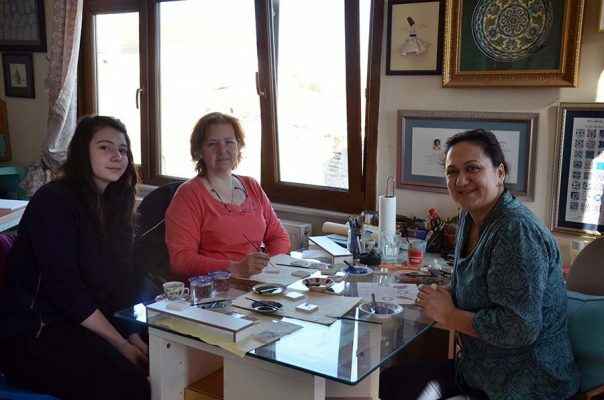 let us know ! ).